Former Uganda Cranes duo of Robert Ssentongo and Vincent Kayizzi Walugembe have joined Big League side Kyetume FC. 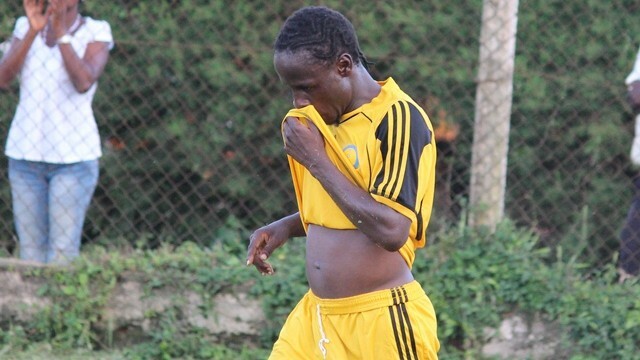 The two along with Patrick Ochan are believed to have signed a season long deal that will see them try to enable Kyetume gain promotion to the top tier of Ugandan football for the first time in the club’s history. Striker Ssentongo has been a free agent since parting ways with Ethiopian side Fesil Kenema while Kayizzi has been released by CD Bukavu Dawa of DR. Congo. Kyetume narrowly missed out on promotion last season after they lost to Kitara FC on penalties in the Big league playoff semifinals. Striker Ssentongo, a three times former Uganda Premier League top scorer has previously played for KCCA, SC Villa, URA FC, St. George, Simba FC, Brabrand in Denmark and will surely bring goals to his new side. Winger Kayizzi was heavily linked to a Maroons FC switch but turned down the offer hence joining the Mukono based club. He is a former player at KCCA, URA, Vipers, Express, APR, FK Srem (Serbia), Novi Pazar (Serbia) and Motor Lublin in Poland. The two along with Ochan bring the numbers of new arrivals at Kyetume to nine after the club has already signed Steve Sande, Ibrahim Kazindula, Godfrey Buni, Phillip Sempira, Emmanuel Obitre, Vicent Oundo among others. Kyetume FC is pitted in the Elgon Group and will face Masavu, UPDF FC, Doves All Stars, Kataka FC, JMC Hippos, Amuka Bright Stars, Nebbi Central, Light SSS and Kamuli Park which is under the pseudo of Wakiso Giants. The 2018-19 FUFA Big League season is expected to kick off in October.